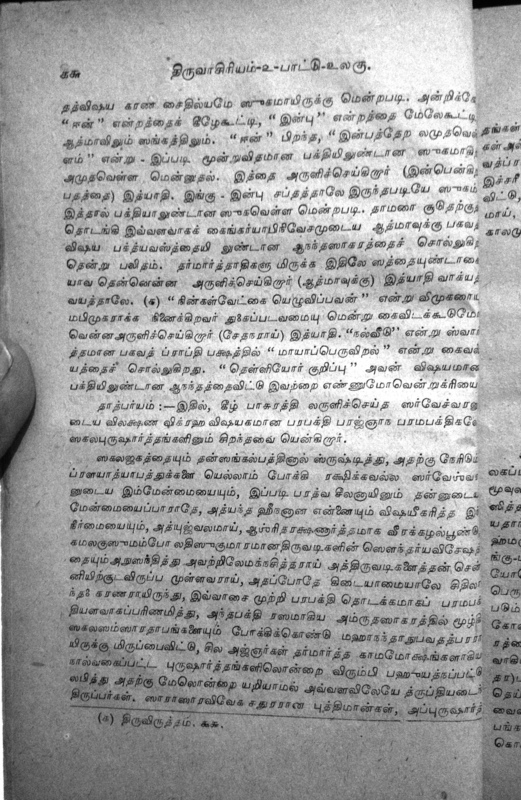 Thank you readers for the kind comments for Thirukachi Nambhigal Vaibhavam e-book. 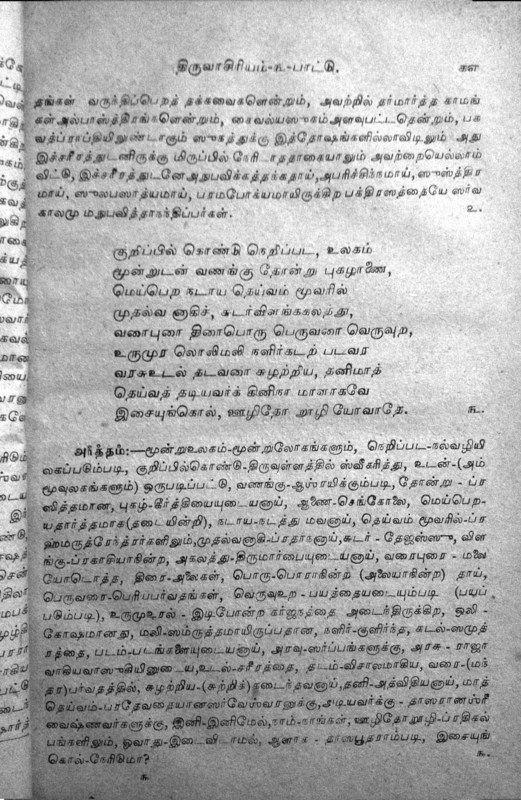 Adiyean had been thinking of the next book to be done, and came across an very old Grantham “Thiru Vaasiriram Vyakhanam” written by Vyakhana Chakravathy Sri Periya Vachaan Pillai. Adiyean searched the internet to see if any such book exists, but unfortunately the book doesn’t seem to be available. 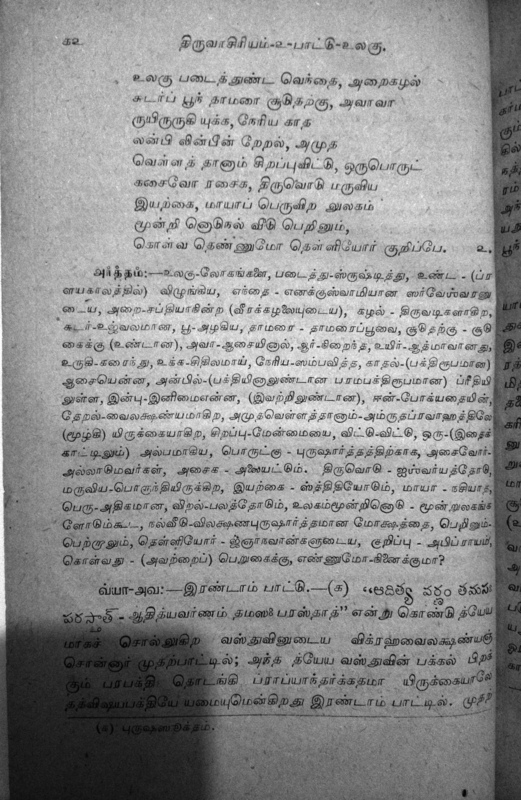 Thiru Vaasiriram by Nammalwar has just 7 Paasurams. 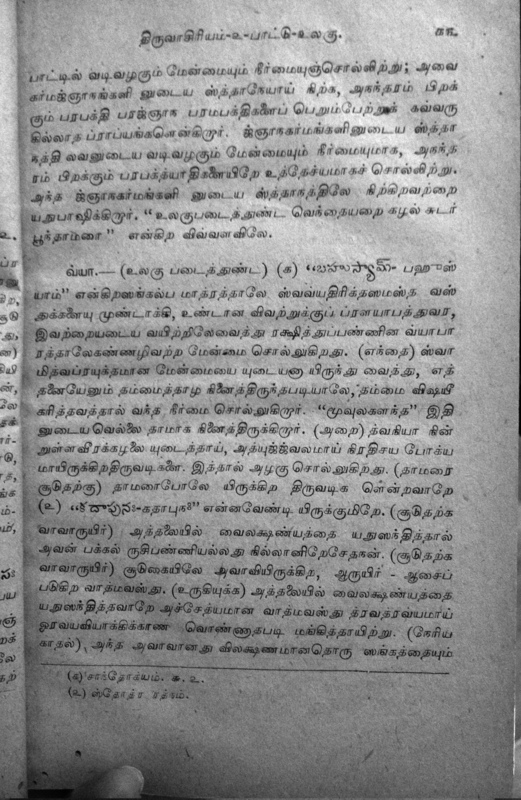 But this Grantham has wonderful vyakahyanam with explanation every single word followed by explanation of the complete Paasuram. Adiyean has attached few pages (click thumbnails for larger view) of the book. Adiyean would like to know about readers views regarding feasibility of Translating the book in English as well as typing the book as it is in Tamil. Baagavathas willing to contribute, please leave a message via Sri Vaishanava Digital Fund page. Today is Swami Thirukachi Nambhigal’s Thirumnakshatram. And as promised here is the Thirukachi Nambhigal Vaibhavam e-book, the second e-book of Sri Vaishnava Digital Fund.